Jaipur : Rajasthan today strongly pitched for investment in agri sector as well as proactive participation in the ‘Global Rajasthan Agritech Meet 2016’ (GRAM 2016) at a roadshow in Hotel Taj Mahal in the national capital today. 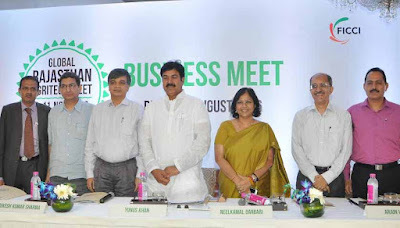 The Rajasthan delegation led by Yunus Khan, Minister for Public Works Department (PWD), Government of Rajasthan said that the primary objective of ‘GRAM 2016’ is to ensure the economic empowerment of the farmers through accelerated yet sustainable growth in agriculture and to double farmer’s income by 2022. Farmers at the event would be taught various new techniques to be used which would help them to earn more yields. For example, they will be educated about the methods of drip irrigation which will help them to overcome drought like situations. The event will also highlight new regulations,grants and policies of the Rajasthan State in agriculture and allied sectors. He invited farmers and industrialists to partner with Rajasthan in agri and related sectors. The Minister further said that the state offers various diverse agri zones that are perfect for crops such as Oranges, Kinnu, Mustard, Soyabean, Moong, Moth, Bajara, Khejari, Sangli, Dates, etc. 40% of Delhi-Mumbai Industrial Corridor falls in the state. There are promising opportunities in Dates, Olive production and Dairy Business. On the other hand, the government is also focusing to enhance the income of farmer by felicitating them with skill development & training, setting up farmer information centers. Agri sector contributes to 31% in state’s growth and we are aiming it to increase by 50%. The state is pioneer in labour law reforms. We are focusing on MSME investors so that the farmer can get better profits. Imbibing the belief of Atithi devo bhavah, I welcome the investors with our very own saying Padharo Mhare Desh”. 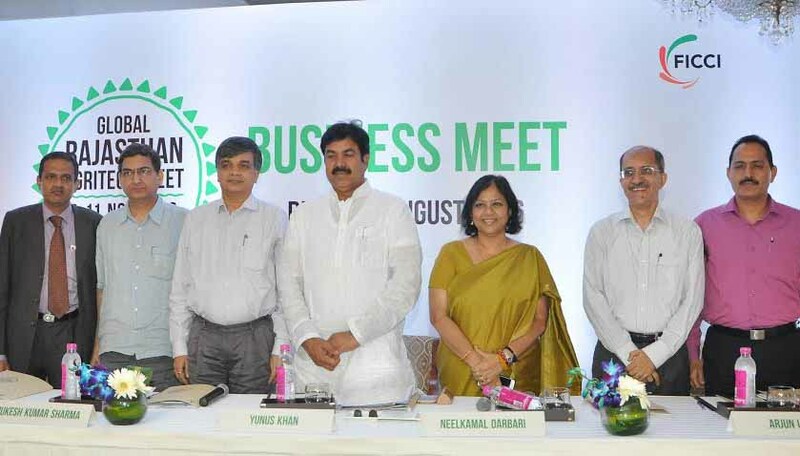 The Principal Secretary, Urban Development & Housing, Mukesh Kumar Sharma and Principal Secretary, Agriculture & Horticulture, Neelkamal Darbari, Director, Horticulture, VP Singh and the Advisor of FICCI for Agriculture & Food Processing, Pravesh Sharma were also present on the occasion.